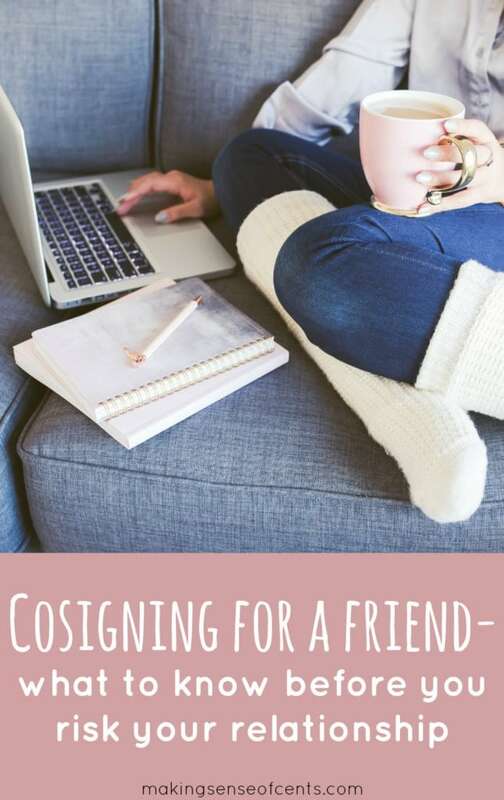 One of the worst financial mistakes a person can make is cosigning for another person. Okay, before you think I'm a heartless person, just hear me out. No matter how well you think you know someone, mixing money and relationships can completely change things. What you may have thought was a wonderful friendship or family relationship may turn into a horror story. It may seem very innocent – you’re just helping a good friend or relative get a loan. Really, if it was that simple, I’d tell everyone to do it. But, being a cosigner is making a major financial decision that you need to seriously think about before agreeing to.